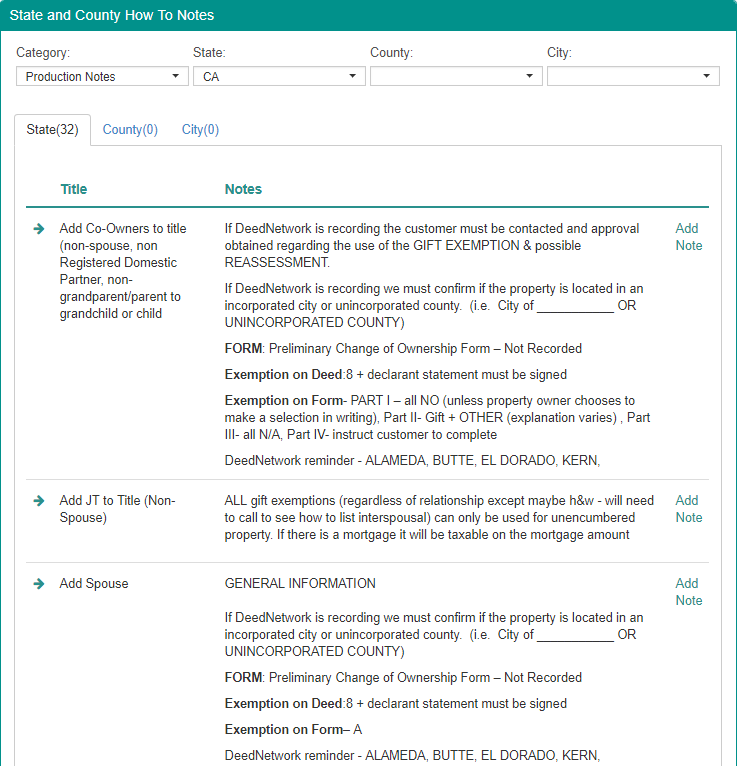 Two decades of deed preparation notes at your fingertips. 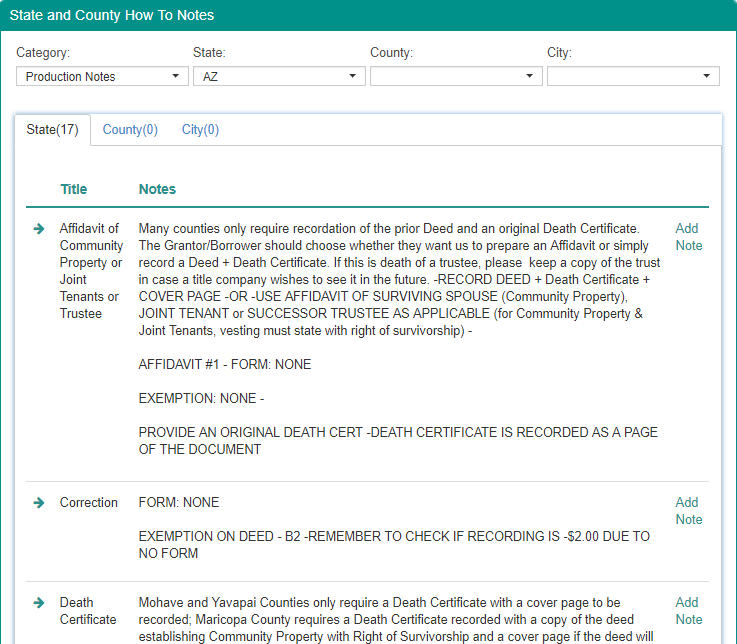 DeedNetwork is the only online source of deed specific information on all of the “how to’s” of preparing and recording deeds in all 3,600 counties. Use our updated knowledge base of information to ensure no matter how you prepare deeds that they will record the first time. Each county has very finite language to be used on deeds, where the language is to be placed on deeds as well as codes to be used on their forms. Our State and County notes knowledge base provides you with all of the information you need.